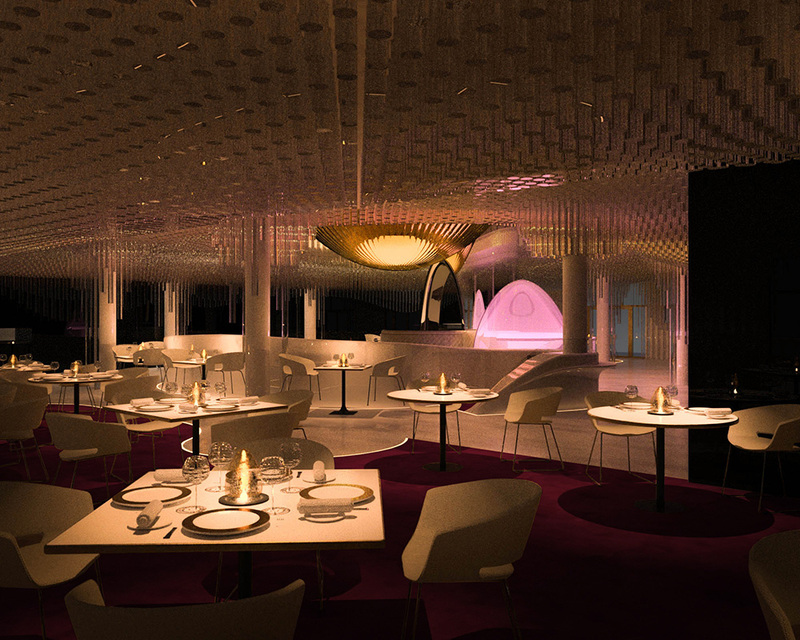 Is This The Most Lavish New Restaurant In Dubai? In Dubai we are positively spoilt for choice when it comes to fine dining, and now there’s another dazzling venue for a special occasion. 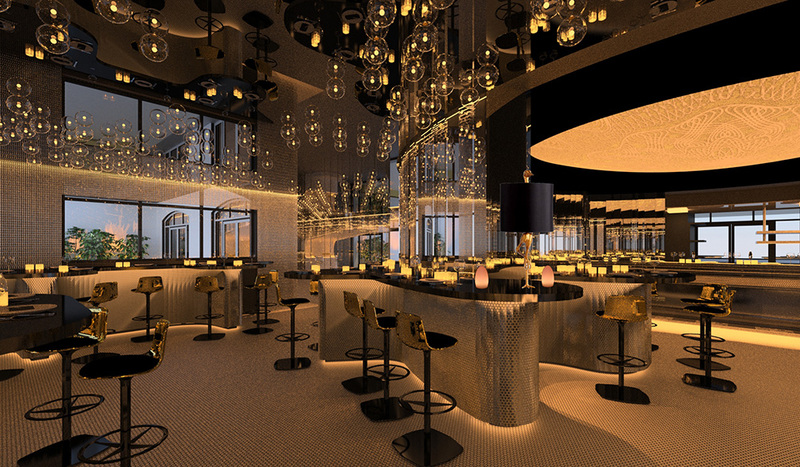 Internationally acclaimed chef and creator, Alain Ducasse, has unveiled his first restaurant in the region: miX Dubai – a space spread over three floors, with unparalleled views of the sea and Palm Jumeirah, located in the Emerald Palace Kempinski. 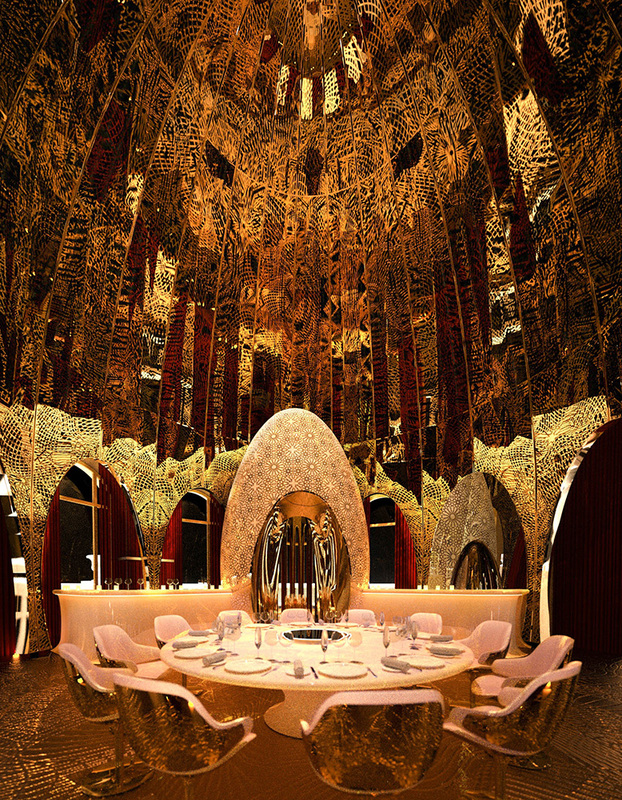 Conceived as a contemporary interpretation of Islamic mocarabes, a flowing ceiling of transparent acrylic tubes sweeps across this 500sqm dining room in a single fluid gesture, while a golden Fabergé Egg sits inside the dome. If that didn’t sound fancy enough, the listen up. The venue offers one of the most exclusive Chef’s Table in town. Hidden from view, it is only accessible through a private elevator with dedicated kitchen, terrace and a central table for 12 guests – now that’s a wow factor. For the rest of space, a lot of thought went into creating a luxurious environment. From the intimate 44-cover miX Bar and Lounge, to the 70-cover miX+ area that offers an intimate dining experience with its unique location, private bar and unique vantage point overlooking the Dubai skyline. Personally, we will be hanging out on one of the multiple miX terraces that boast awe-inspiring, 360 views of Dubai, with the sunset one side and skyline of the Palm Jumeirah on the other. The vast miX restaurant terrace, seating 100 guests is visually arresting, with sculptural golden shapes, with a curated mix of high top and low seating, as well as a shisha menu. Heading the kitchen is Chef de Cuisine Hugues Gerard. Hugues was raised under Ducasse’s teachings and will be heading up the team alongside Pastry Chef, Douglas Oberson who has a wealth of experience in French cuisine. Expect a well-rounded menu that will change according to the season.